Button Cottage01263 715779work01603 870304fax Self-cateringEnjoy a relaxing stay in the pretty and charming Button Cottage. Set in the tiny hamlet of Twyford, which is a great central village in which to discover all Norfolk has to offer! This traditional cottage has been decorated to a high standard, with comfortable furnishings and many lovely finishing touches, such as a beautiful wood burner, mood lighting, a Nespresso coffee machine and a large rear garden with field views. Button Cottage offers weekly bookings starting on Friday. Enjoy a relaxing stay in the pretty and charming Button Cottage. 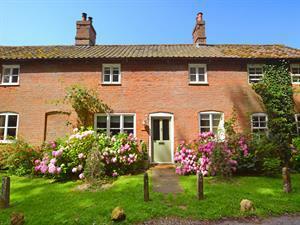 Set in the tiny hamlet of Twyford, which is a great central village in which to discover all Norfolk has to offer! This traditional cottage has been decorated to a high standard, with comfortable furnishings and many lovely finishing touches, such as a beautiful wood burner, mood lighting, a Nespresso coffee machine and a large rear garden with field views.